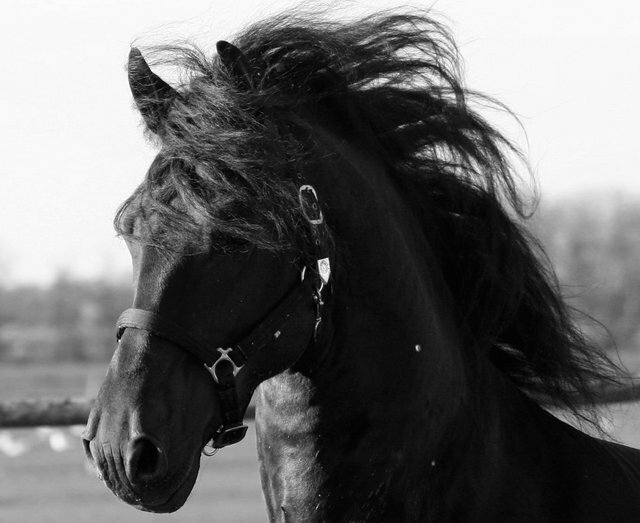 Friesian horses for sale at our facility in Friesland. Specialized in selling and training high quality FPS Friesians for dressage, driving, breeding and offer excellent service. 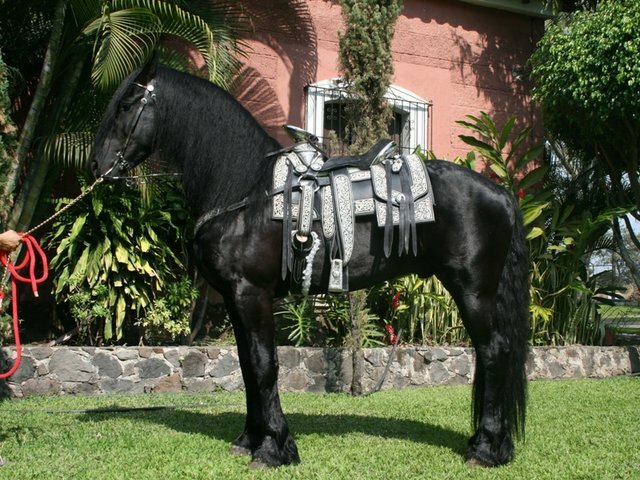 We offer high quality FPS Royal Dutch Friesian horses for sale with very long mane and very long and thick tail. 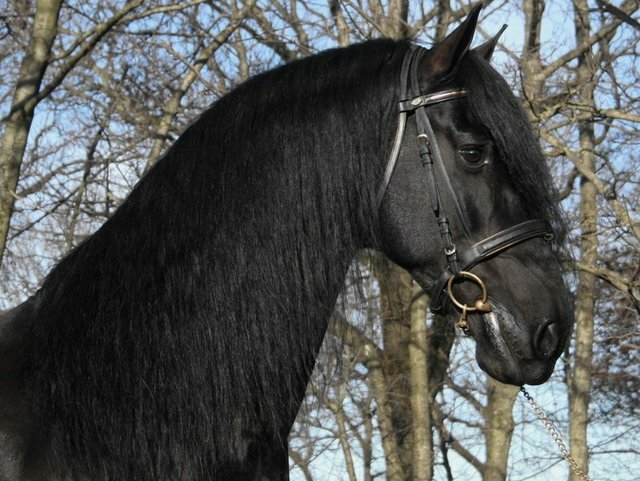 The character of the Friesian horse is extremely friendly (Friesian stallions as well), what makes the Friesians beloved all over the world. 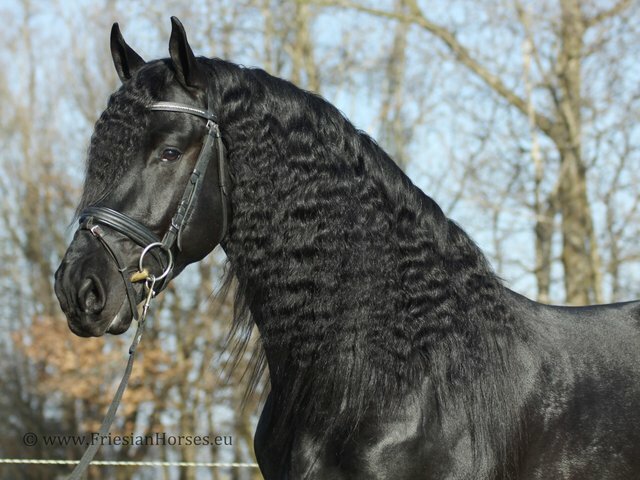 Most Friesian horses are purchased directly from the breeders and farmers. 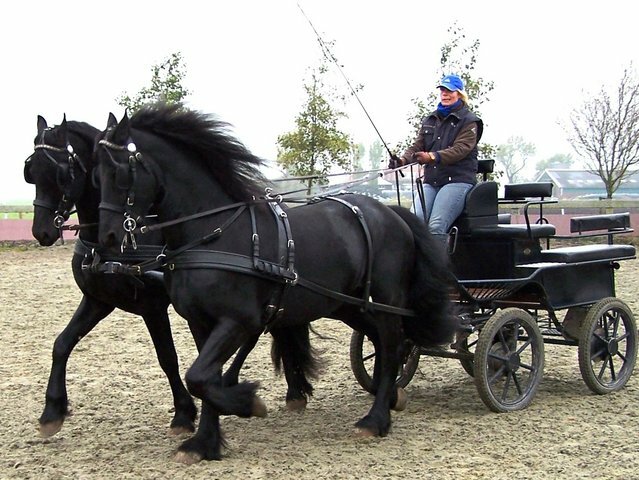 The Friesians are the best horses for professional dressage & driving and recreational purposes. They love their people and are generally very good around children. Our Friesian horse stable is located in the north of the Netherlands, this part is called Friesland. 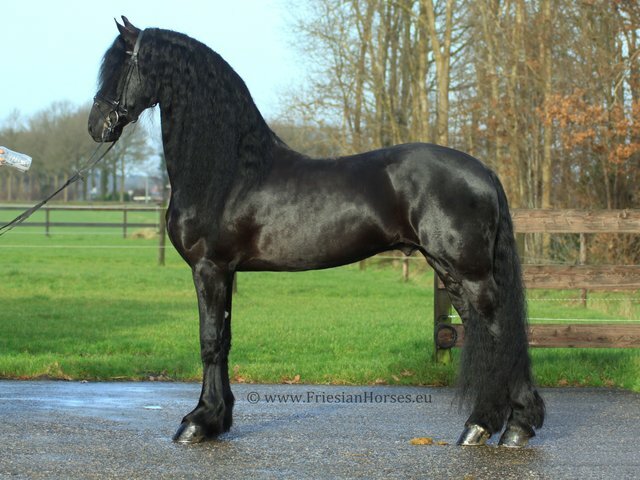 Friesland is famous about the many rivers and lakes and the beautiful black Friesian horses. The Friesian horse stable is owned and runned by Peter and Marian Berkers. The official stables name in the Netherlands is Stal De Drie Berken. We own a medium size modern Dutch Friesian horses sales and trainings facility for 25 Friesian horses in a beautiful country side with a lot of farmers and Friesian horse breeders around. 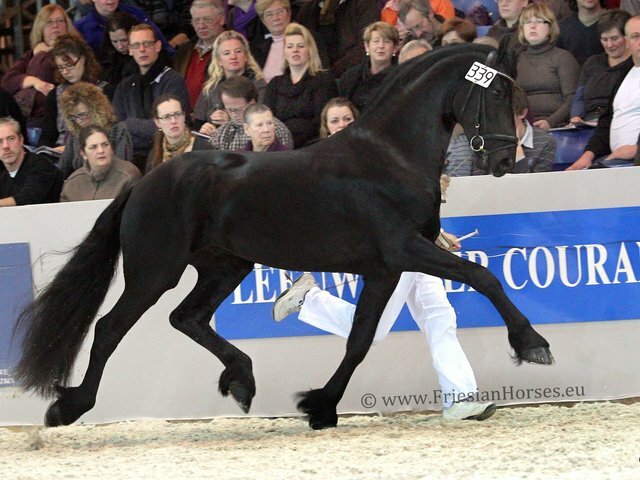 All Friesians are trained daily by professional equestrian riders in our big size arena and weekly on competitions.